Playing a smoky, spectral fusion of blues, folk, and rock in a stripped-down one-man-band style, Shakey Graves is the stage name of singer, songwriter, and guitarist Alejandro Rose-Garcia. Born in Austin, Texas on June 4, 1987, Rose-Garcia grew up in a family that encouraged his creative pursuits -- his mother was an actress who also worked as a director and writer, while his father managed a theater. Initially, Rose-Garcia followed his interest in acting, working with his high school's drama club and later moving to Los Angeles, where he appeared in several films (including Spy Kids 3: Game Over and Material Girls), as well as landing a recurring role on the TV series Friday Night Lights. But Rose-Garcia also had a passion for music, and he wrote and recorded songs in his spare time. In 2007, Rose-Garcia attended the Old Settler's Music Festival in Driftwood, Texas, and while spending time with friends, they began coining rustic nicknames for one another; someone dubbed Rose-Garcia "Shakey Graves," and the name stuck. In 2009, Rose-Garcia saw a performance by blues-punk one-man-band Bob Log III, and was impressed both by Log's minimal performance style and how he used tempo and key changes to keep his songs unpredictable and hold the audience's attention. Drawing inspiration from Log, Rose-Garcia began crafting a stage persona for Shakey Graves, using foot pedals to keep the beat with a tambourine and a bass drum fashioned from a suitcase, while playing music he dubbed "hobo folk." As audiences were impressed by his music, charisma, and talent for spinning tales, it evolved from a part-time home-brewed music project into a growing presence on the Austin music scene. In 2011 he released the first Shakey Graves album, Roll the Bones, which documented his stripped-down performing approach. Initially released online, Roll the Bones became an impressive independent success, and the Mayor of Austin acknowledged his rising star in 2012 by declaring February 9 "Shakey Graves Day." 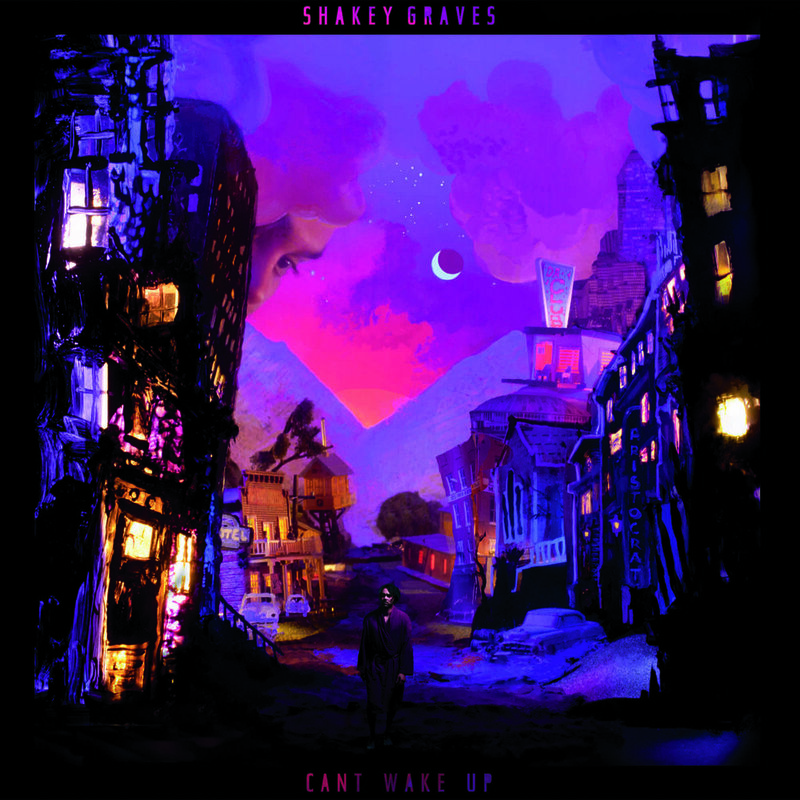 Shakey Graves and the Horse He Rode in On: Nobody's Fool & the Donor Blues EP Later in 2012, Shakey Graves released a follow-up EP, Donor Blues, and attracted the attention of independent roots music label Dualtone Records, which signed him to a recording contract. The first album for Dualtone, 2014's And the War Came, found him expanding his approach, using backing musicians on several tracks as well as duetting with vocalist Esmé Patterson. He toured extensively in support, as well as appearing on a number of leading TV variety shows, including Conan, The Late Show with David Letterman, Late Night with Seth Meyers, and Austin City Limits. In 2015, he decided to celebrate the anniversary of Shakey Graves Day by releasing a digital album, Nobody's Fool, which was available as a free download for three days only, from February 9 to February 11, 2015. Also in 2015, he took home Best Emerging Artist at the Americana Music Awards. Two years later, Graves combined Donor Blues and Nobody's Fool into the double-disc collection, Shakey Graves and the Horse He Rode in On: Nobody's Fool & the Donor Blues EP.